I sure hope Apple implements a lockscreen tweak like Peekly when iOS 7 launches later this year. It's absolutely awesome, and spices up what is an otherwise humdrum space of notifications—and little else. There's opportunity for so much more, and Peekly is a perfectly elegant solution that gives users more at-a-glance information. The jailbreak tweak is still in beta, but it already looks great. 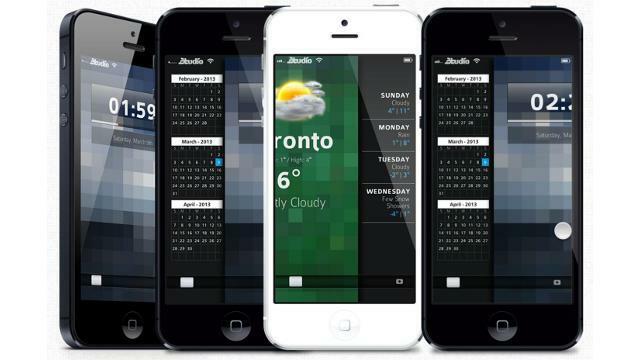 It essentially give users a way to quickly look at a three-month calendar with a simple swipe to the right, and weather information appears with a swipe to the left. That's just the default layout, though. You can also add your Twitter feed, Google Calendar and an RSS feed of your choosing (TechnoBuffalo!). There are more options to come, but since Peekly is in beta, everything is currently a bit limited. With over 14 million devices on iOS 6.1 already jailbroken, Peekly might be a nice option to give your lock screen some renewed life. Apple sure isn't up to that task right now, so we'll have to rely on developers in the jailbreak community to fill that void.